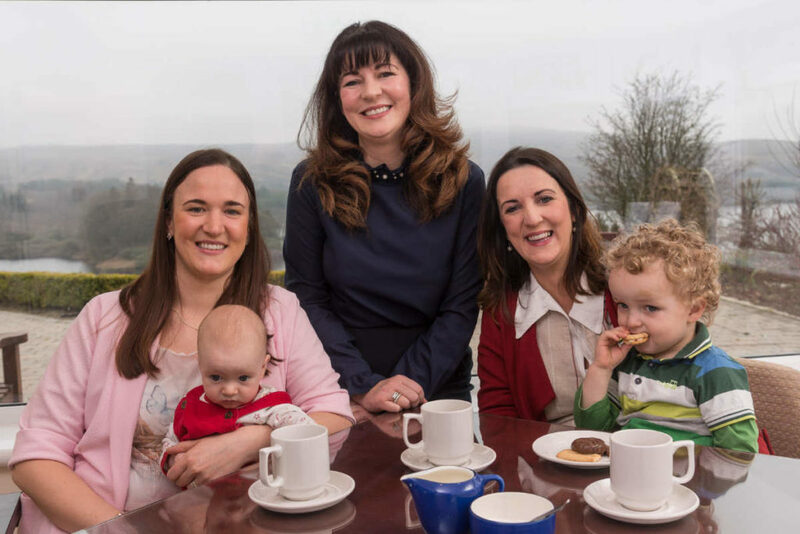 A young family from Co Tyrone, who lost their mum to cancer last July, have spoken of the great comfort the family received at Charis Cancer Care. Mum of four, Paddi Begley, was among the 6,000 people who have used Charis Cancer Care since the centre opened eight years ago. “The reason we required the services of Charis Cancer Care was due to our mother developing and being diagnosed with cancer in October 2014. Throughout that journey, from diagnosis to her leaving this world, Mum and Dad both availed of therapy at Charis, followed by myself and my sisters thereafter. “Charis is a charity which provides services for everyone affected by cancer, whatever the diagnosis or prognosis. There are over 200 different types of cancer and there is a huge variation in survival between different cancer types. Interestingly, cancer survival in the UK has doubled in the last 40 years. “I never considered my parents to be elderly. My Mum was diagnosed at the age of 59. She and Dad were at such a content stage of their lives, ready to enjoy time with their children, their grandchildren and their home. Despite their open mindedness and willingness to enjoy life, they were not naturally the type of people to explore alternative therapies or any form of self-help. 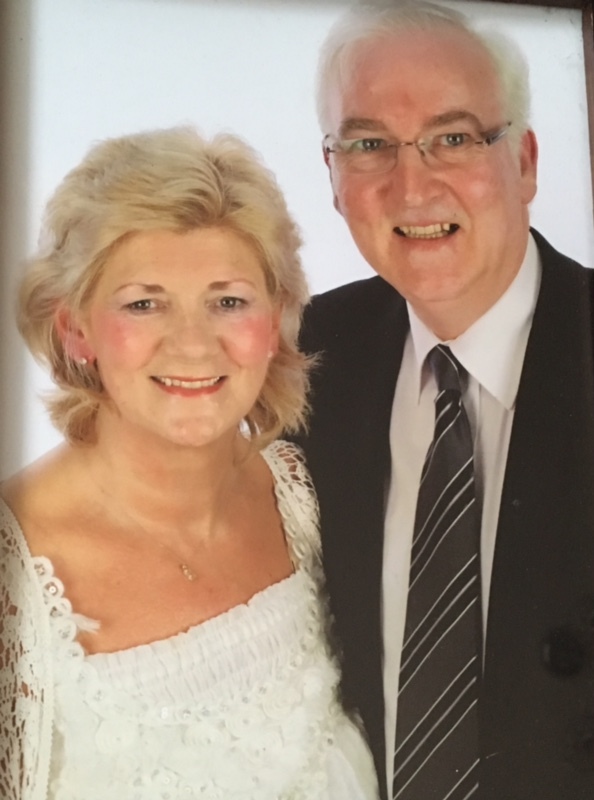 “However, when Mum’s first treatment for cancer ended and the reality of the serious side effects from treatment became more apparent, Mum and Dad decided to avail of the services that Charis Cancer Care offer. They found the welcome soothing and of course the location idyllic. I recall them saying how they loved the journey from Dungannon to Lough Fea and having that precious time to themselves. As a family we were aware that time was limited and therefore wanted to be with Mum as much as possible. “Mum and Dad availed of massage; reflexology and Mum also received some counselling. I remember Mum showing me two excellent books her counsellor had shared with her. Whilst she kept the content of her counselling private from us, I knew that Mum had found a safe haven to reflect upon her diagnosis and prognosis. “Charis almost walks with you during a difficult and unwanted time in your life. It goes without saying that death and grief is part of everyone’s journey in life and we all try to be brave when we hear about sudden deaths, world tragedies or the deaths of young people, but the loss of a mother brings a different void, she’s simply irreplaceable. During Mum’s illness and passing, as is the case for many other cancer and grief survivors, life felt like a continuous battle, trying to present a brave face with a pain in your heart. Whilst friends and extended family are dedicated in their concern and provided loving offers of support, for me, it took Charis to realise I needed a little extra support. 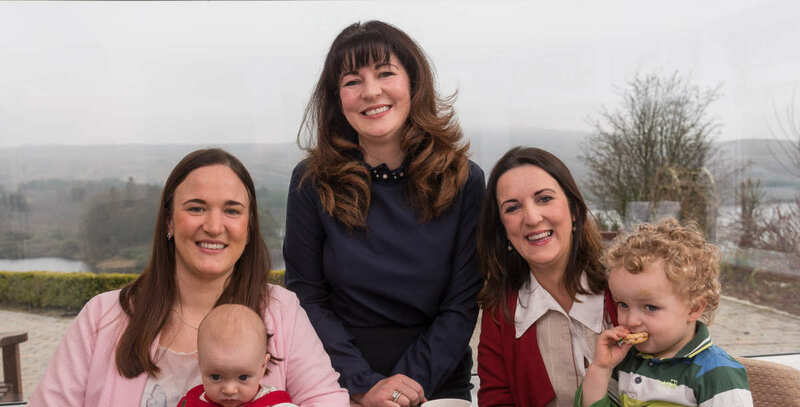 At the end stage of Mum’s life and within days of her passing, it transpired that all four of her daughters – Connie, Laura, Marsha and Claire – had contacted Charis. “On arrival to Charis, I remember being overcome with grief and emotion. My first instinct was to run away. However, remaining at Charis was the best the decision I ever made. I don’t recall exactly how it happened, it must have been down to the skills of Imelda, Charis Cancer Care Centre’s Director, that we were each signed up to treatments that very day! I am so glad we were. My counsellor was excellent; a true professional! I unravelled so many veins of thought and misplaced anger and guilt. Without the support of Charis, I really think my sisters and I would have overcomplicated the grieving process. The charity which supports people in Northern Ireland affected by cancer is planning an expansion that will almost double the size of the centre as it aims to offer greater numbers of cancer patients and those impacted by cancer, complementary support and therapies. Charis Cancer Care works in conjunction with clinical treatments for cancer. Comfortable treatment rooms are designed for the delivery of complementary therapies by trained practitioners. Support ranges from counselling services and dietary advice, right through to offering treatments such as reflexology and massage, all of which are provided free of charge. “With the new extension, Charis can broaden the services offered to patients coping with diagnosis, detection and treatment. Our programme has been designed to complement rather than replace orthodox cancer treatments with the aim of providing physical, psychological and emotional support through the relief of symptoms.